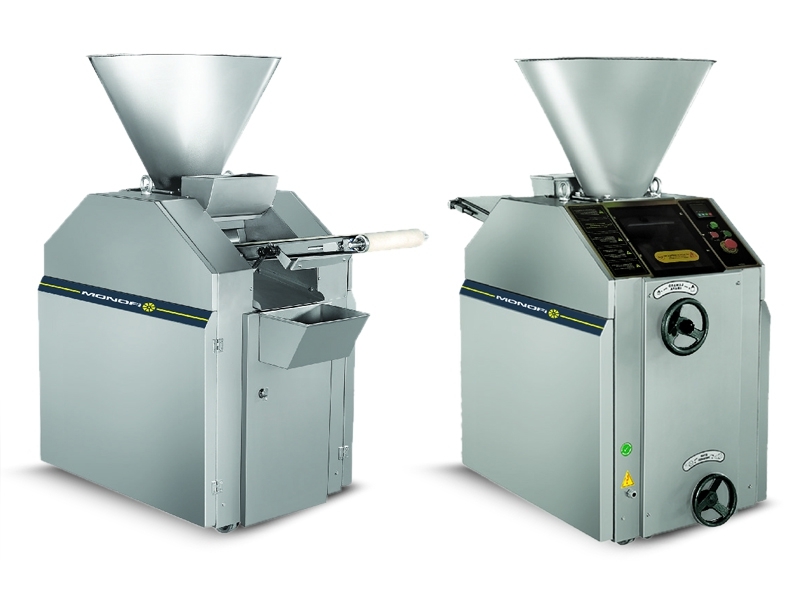 his compact machine has a dividing drum intake piston therefore ensures carefui dough handling at minimum pressure and warming of dough. İt divides even sensitive dough as gently as by hand. All dough-touching parts are automatically lubricated with food compatible oil which enhances accuracy and log service life. The hopper is made of stainless steel. Weight of dough can be adjusted as manually or digital.